Mapping lighting fixtures with video opens up opportunity for more effective visual effects as well as the ability to tie together a lighting rig with video screens in the same rig. A large variety of custom configurations are possible with integration between different systems. IKONIX is the first company in Australia to adopt the HOLOGAUZE technology. Holo-Gauze™ is the latest development in large-scale 3D hologram effects. A patent pending front projection screen that is highly transparent and highly reflective. Our team are highly skilled and experienced across multiple facets of any event & installations from design and operation of all formats including Audio, Video, Lighting, Rigging, Automation, Power Management, Staging and customised special effects. 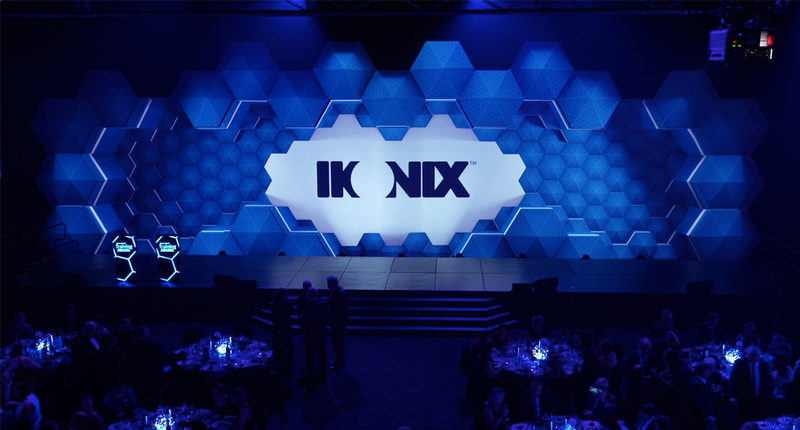 From the latest range of the AVOLITES Ai Media Servers to HOLOGAUZE technology, IKONIX is always at the forefront of technology. From the latest range of the AVOLITES A1 Media Servers to HOLOGAUZE technology, IKONIX is always at the forefront of technology. IKONIX has a great network of animators and creative directors. We employ an efficient content management system that enhances workflow and allows for a productive development process. Our team works in 3D and 2D environments. Talk to us for a custom quote to suit your needs.